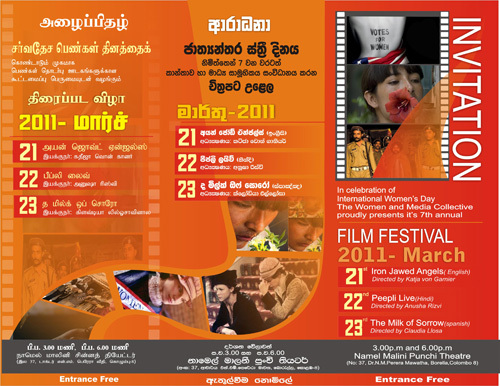 WMC presented its 7th annual film festival which was held at Punchi Theatre, Colombo 08 from the 21st to the 23rd of March, 2011. The films screened were Iron Jawed Angels, Peepli Live and The Milk of Sorrow. Entrance was free of charge and the festival was well attended.